If you are feeling any signs or symptoms of stress, such as anxiety, irritability, muscle tension or worry then this stress reduction workshop for you. Stress is an everyday fact of life. 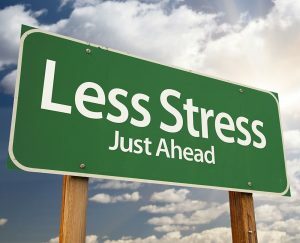 At this stress reduction workshop you will learn simple techniques that will help you to respond to stresses in your life in a more harmonious way. Whether the stress you experience is the result of major life changes or the cumulative effect of minor everyday hassles; it is how you respond to these events that determines the impact stress will have on your life. Learn how to activate the body’s natural healing abilities. The relaxation response or the parasympathetic system is the body’s way on neutralising the effects of stress brought on by the fight or flight response. Living with ongoing stress without giving the body a chance to heal can have a profound effect on our health. On this workshop you will learn how to use the relaxation response to relax your body and mind. You will receive a workbook full of techniques and tools designed to help you cope with stress in daily life. To get you started on your journey to relaxation feel free to go to my downloads page and get a free Relaxation Audio. Body Awareness* Worry Control* Self Hypnosis*Coping Skills* Breathing* Progressive Relaxation. You’ll find that these tools help maximise your life and experience, even in the midst of stress. Cost: €45 Includes Workbook and Relaxation Audio.